Hundreds of pro-independence activist demonstrate during the general strike in Barcelona on October 3, 2017. Miquel Llop/NurPhoto/Sipa USA/PA Images. All rights reserved. Last Friday, October 27, in a matter of hours, Catalonia went from witnessing independence and the constitution of a Catalan Republic being proclaimed by a wafer-thin majority of its Parlament, to seeing how the government of Mariano Rajoy intervened in its system of self-rule, dismissed its elected government, and dissolved its Parliament. At the same time, Rajoy directly called Catalan elections, to be held on December 21. I am writing this text four days later. The Spanish flag is still flying at the Palau de la Generalitat, the seat of the Catalan government in Barcelona. No foreign country has recognized the new republic. The up to now President of the Generalitat and a part of his government have fled to Brussels, where they "continue to exercise their functions" and avoid a possible incarceration. The leaders of the main civil organizations which have supported the independence process for years are still in jail and have been there for the last few weeks. And despite all this, all the Catalan political parties, from left to right, from the most independent-minded to the ones which are less so, have said that they will participate in the aforementioned elections, which have been convened in a hierarchical manner, using a never-used-before article (Article 155) of the Spanish Constitution. How did we get to this? What alternative options are there and how can things develop in the coming weeks? What are the political key points which go beyond the Catalan case? As it is well known, the problem of the recognition of Catalonia as a political subject is a long-term problem in Spain. The conflict, in its current phase, began in 2010 when the constituent will of the Catalan people, expressed in a referendum on reform of its Statute of Autonomy, was overruled by the Spanish Constitutional Court. In the ensuing seven years, a substantial part of Catalan citizens have mobilized on different fronts. The political crisis has coincided with an economic crisis and a territorial crisis. 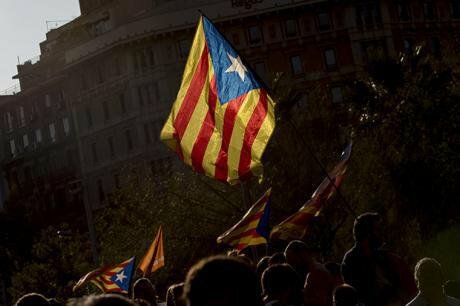 These last seven years have witnessed mass demonstrations, three general elections, two Catalan elections and two (frustrated) attempts to hold consultations, or referenda, on independence in Catalonia. This has been a period of strong politicization and strong polarization. In Spain, these years have been endured as a stress test for democracy and its capacity to admit dissent. Most people have seen the images of violence by the State security forces against citizens who peacefully wanted to express their will by voting in an attempted referendum on independence which, considering its very exceptional context, lacked all the required democratic guarantees. The results of this attempted referendum (which could hardly be considered binding, both because of the above developments during the day and the boycott of the parties opposed to independence) were nevertheless assumed by the independence coalition in Parliament as the green light they needed to unilaterally declare independence and the constitution of a Catalan Republic. As we have already mentioned, the leaders of the two civil associations which gave support to the referendum were accused of sedition, arrested and imprisoned. And so, after many hesitations and without any direct negotiation between the two governments, we arrived at the situation mentioned at the beginning of this text. The four conditions which, according to the Catalan government, would have made a declaration of independence viable were: holding a referendum with guarantees, supervised internationally, after an explicit campaign for the "yes" and "no"; getting enough social support; ensuring explicit international recognition by a significant number of countries; counting on state structures in place, as a basis for the launching of the new state after independence was declared. None of these conditions was met. The referendum on October 1 lacked sufficient guarantees; its result showed, once again, that no more than two million people (out of a total of 5.7 million entitled to vote) are willing to support independence; not a single country has recognized the new Catalan Republic; and, as we have seen in the last few days, Catalonia was not in a position to face the institutional requirements which independence entails. Social support for the so-called “right to decide”, however, runs very high. As do popular mobilizations. But the events in recent months have also mobilized the social sectors which had remained silent all this time and which now, seeing that the threat of independence was closing in, have decided to go out into the streets, with the support of the central government and the parties which are opposed to independence, showing that Catalan society is much more divided than everybody reckoned. On the other hand, the left-right divide, which for many years had been key in complementing the traditional catalanist/non catalanist one, has been overshadowed these last seven years by the independence-unionism cleavage, generating very unusual alliances between political positions which are far apart from each other on social and political issues. Besides, it is quite obvious that in today's Europe, considering the existing level of interdependence, with the interweaving economic, cultural and social interests, it is very difficult to keep on talking about independence and completely autonomous nation-states. The difficulties in implementing Brexit are proof of this. And all the more so in the case of Spain and Catalonia, where many economic problems have been reported in a matter of days (changes in company headquarters, divestments), thus frightening a good part of the population. On the other hand, social coexistence has grown increasingly complicated as the issue of independence has generated tensions between friends, acquaintances and relatives. People have provided their bodies, risking physical harm on this issue, while the elites of the pro-independence parties have been drawing a rosy, all smiles and no conflict process. And things have not been like this. In spite of it all, the fact is that on December 22, the day after the forthcoming elections, the problem will remain. And that some mechanism to recognize the national diversity of Catalonia will be needed. The Spanish right and the Socialist Party continue to equate equality with homogeneity, and do not understand that 21st century democracy requires incorporating, as a value, the recognition of diversity. The opposite of equality is inequality and the opposite of diversity is homogeneity. You can pursue equality without renouncing a recognition of diversity, as Nancy Fraser and many others have shown. As we have witnessed, the lack of social protection capacity on the part of the European Union, which focuses only on the unity of the market and on prioritizing deficit reduction and debt payment, has turned the states into the only apparent candidates for offering that protection (as Polanyi has said). But, in many cases, this statist logic comes with the nationalist dynamics of exclusion. In Catalonia, this xenophobic dimension has not been present at all, but it has cut off possible alliances with popular sectors in the rest of Spain, where only Podemos and the peripheral nationalist forces have defended the need to recognize the Catalans’ right to decide. We are bound to continue to hear about the Catalan problem for quite some time yet. At the time of publication, some new developments have taken place which can seriously affect future events. On November 2, the National Court in Madrid sentenced to jail without bail the Vice President and nine members of the government of the Generalitat of Catalonia, all of them already dismissed from their posts under Article 155 of the Constitution. This is a decision which has been widely perceived as disproportionate by both Spanish and international public opinion, the political impact of which is likely to be very negative on getting the situation in Catalonia back on track, a hope enouraged by which the "soft" landing of Article 155. Adding gasoline to the flames is not the best way to put out fires, especially in a country that is currently in position 58 (at the level of Botswana and behind Kenya) in the world rankings for judicial independence.